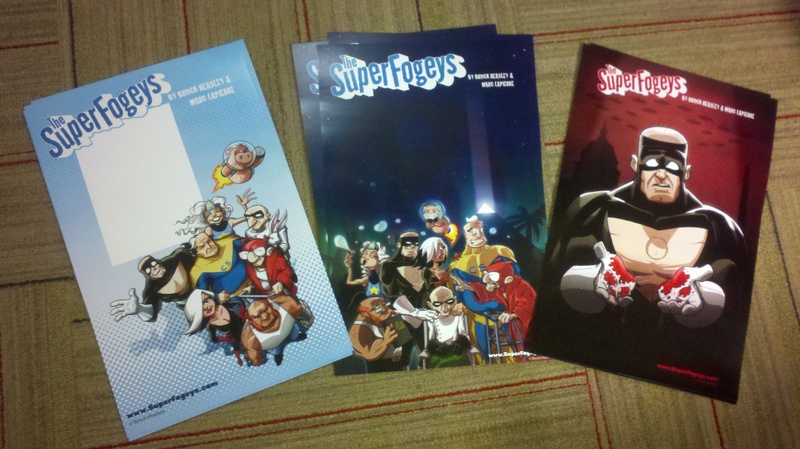 SuperFogeys - Get Your SuperFogeys Posters and Sketches From Marc at NYCC! See that one of the left? Purchase it and you’ll get a free sketch in that white space. How cool is that? I wish I could meet Marc in real life. I’d give him a high five and then quickly steal his artistic ability and make a run for it.